“It’s cold, but I’m not afraid!” A small bear ignores the advice of his parents and chooses to spend the winter away from his den. Free, he celebrates with birds, foxes and deer. But spring is far away! 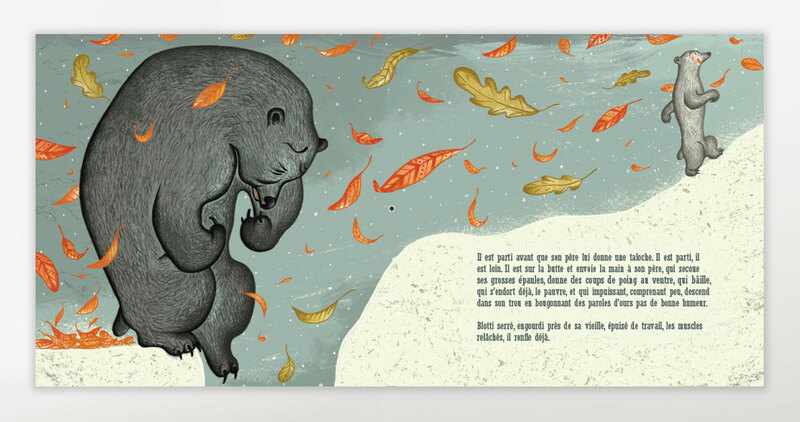 Filled with lively and refined illustrations, the book is a tribute to the great forests of Quebec, its trees and its animals. 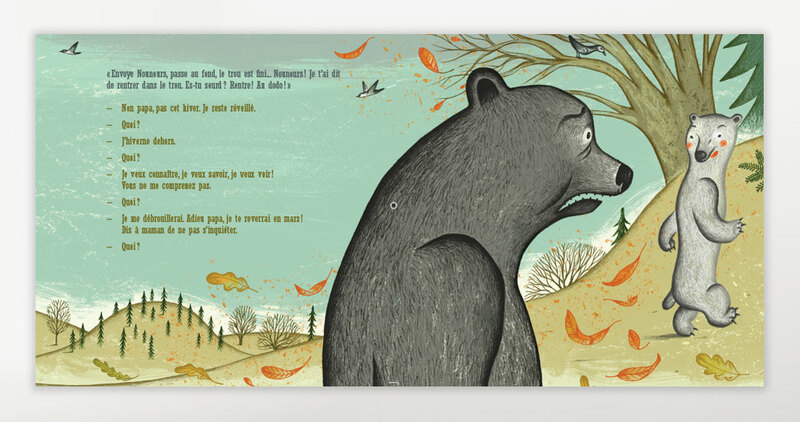 The ten jazz-meets-circus tunes were created by Edgar Bori to accompany this endearing tale about the charming cub and his newfound friends. 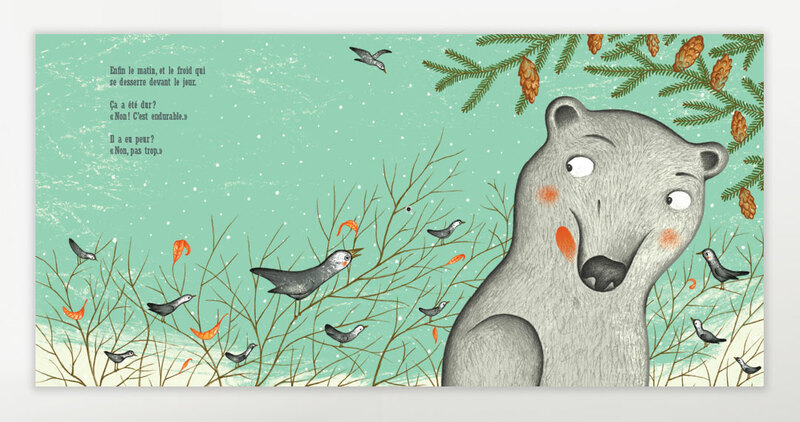 To the rhythm of the seasons, little bear figures out what life is all about! Singer-songwriter and poet of international fame, Felix Leclerc (1914-1988) is considered the father of Quebec song. He has seen his work crowned by numerous awards including the Charles Cros Academy Award, the Prix Calixa-Lavallée and the Prix Denise-Pelletier. The Prix Félix (Quebec equivalent to the Grammys), given to Quebec singers, is named in his honour. Edgar Bori is an atypical artist who has traveled across the Quebec cultural landscape for nearly 20 years. With eleven original albums, Bori is an author/ songwriter respected by his peers and loved by a faithful and eclectic audience. Also as artistic director and producer, he is committed to cultural diversity. 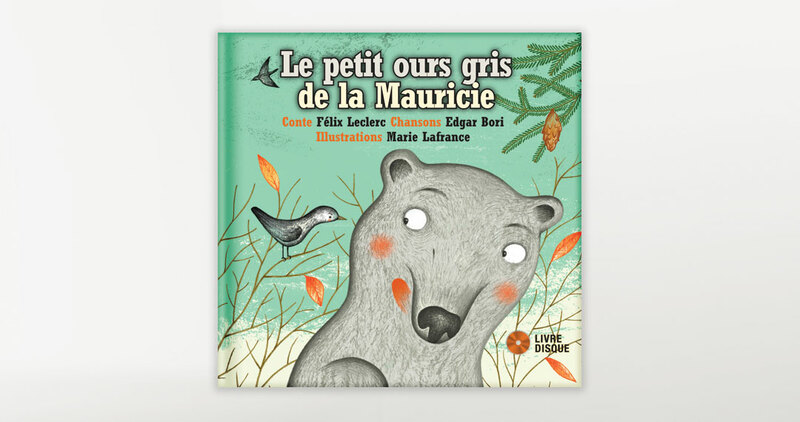 Marie Lafrance is one of Québec’s best-known illustrators, thanks to her participation in several children’s books, including Le Grand voyage by Monsieur Caca, La fée des bonbons and La Diablesse and the Baby for which she was a finalist of the Governor General’s Literary Award.